BitPay’s monopoly on WordPress e-commerce payments may be coming to an end. Recently launched competitor PayStand has been gaining significant attention this week, offering a wide range of payment options including a zero-fee payment option for bitcoin purchases. The plugin, available for popular e-commerce plugin system WooCommerce, may help PayStand gain a foothold in the increasingly crowded and competitive market for online payments. In an interview with CoinDesk, PayStand CEO Jeremy Almond noted that “cards aren’t going away” any time soon. In his view, offering a bitcoin-payment option allows merchants to offer something that both global and “free for transactions.” PayStand’s system also allows users to accept credit cards and e-checks, providing a one-stop solution for online payments. 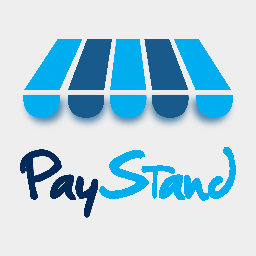 PayStand does face some significant challenges, and not just from bigger fish in the bitcoin pond like Coinbase and BitPay. Although somewhat well known in the WordPress community, PayStand isn’t widely considered a major player in the e-commerce or online payments world. The company was founded in May of 2013, and has only received about $1 million in venture capital funding to date. That’s not bad for a WordPress plugin developer, but it does seem a little low for a company hoping to become a one-stop payment gateway.